1. It's billed as Gilmore Girls meets Paranormal Activity. I adore Gilmore Girls. 2. I like that the main character is described as "adorkable". 3. It has a blurb from R.L. Stein! 4. It intrigues me that this started as a YouTube channel. 5. The main character loves Pride and Prejudice. 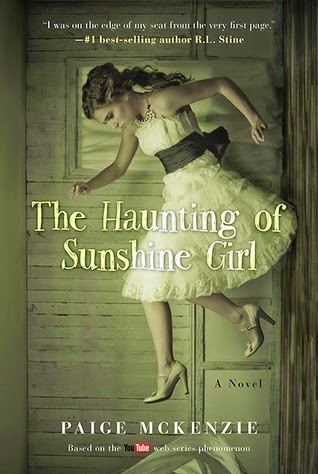 We have two copies of The Haunting of Sunshine Girl to give our readers. This giveaway is open to residents of the US and Canada. You must be 14+ years of age to win. Those under 18 must have parental permission to enter. Reading Lark is not responsible for prize delivery; the book will be shipped by the publicist. The giveaway runs from March 24-31. Winner will be notified via email on April 1. The 5 reasons you listed piqued me, without a doubt. I love Gilmore Girls, so anything compared with it gets my attention!